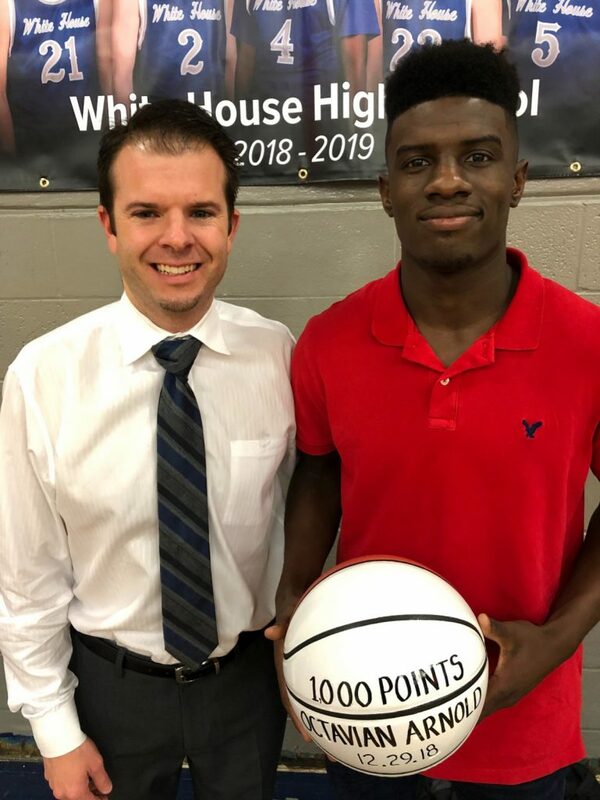 WHITE HOUSE – Senior guard Octavian Arnold was honored Tuesday night as the newest member of the 1,000-point club. 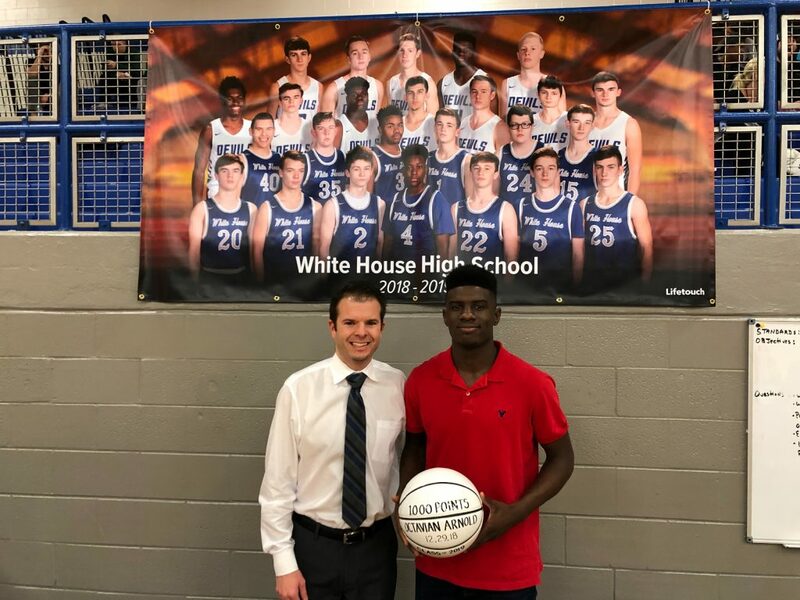 Arnold, a senior in his first year with White House, scored 21 points in a win over Greenbrier at home, and is the leading scorer for the Blue Devils. 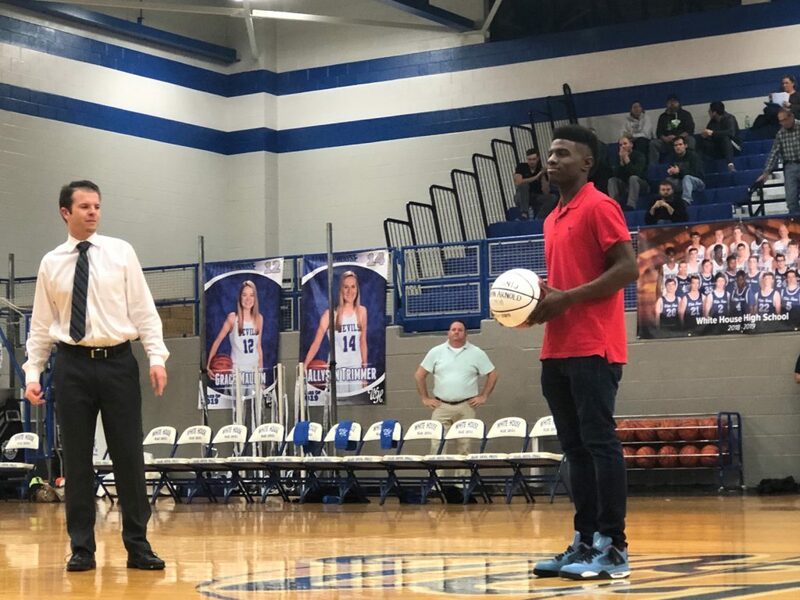 He has 332 points this season and 1,158 for his career, and surpassed the 1,000-point barrier in the holiday tournament at Goodpasture on December 29th. 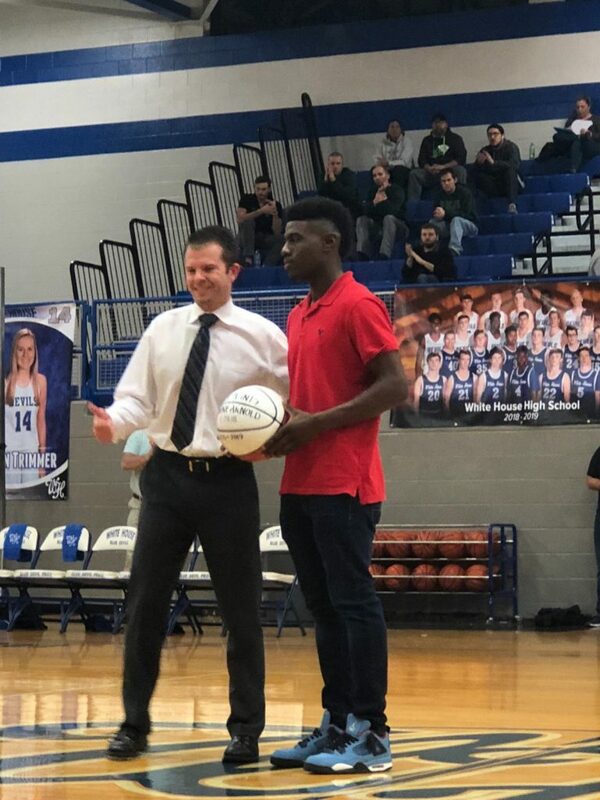 He was presented with a commemorative ball at halftime of the girls game on Tuesday night against Greenbrier, before leading his team to a 63-55 victory. 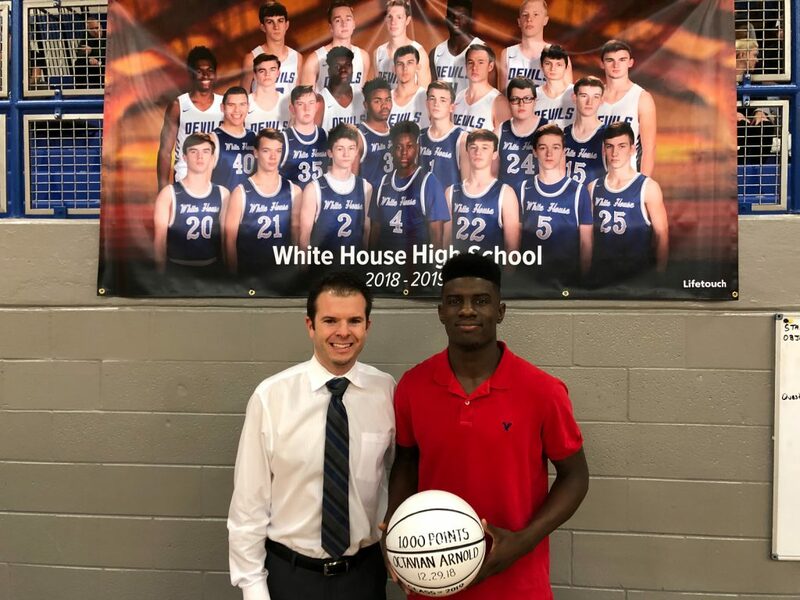 Arnold played three years at Gallatin High School where he scored two points as a freshman, 346 as a sophomore and 478 as a junior before moving to White House and playing his senior season. Arnold is averaging 18.3 points and 2.1 assists per game as White House heads into its final two games of the year in the regular season, Friday at home against Harpeth and Monday on the road at Portland. 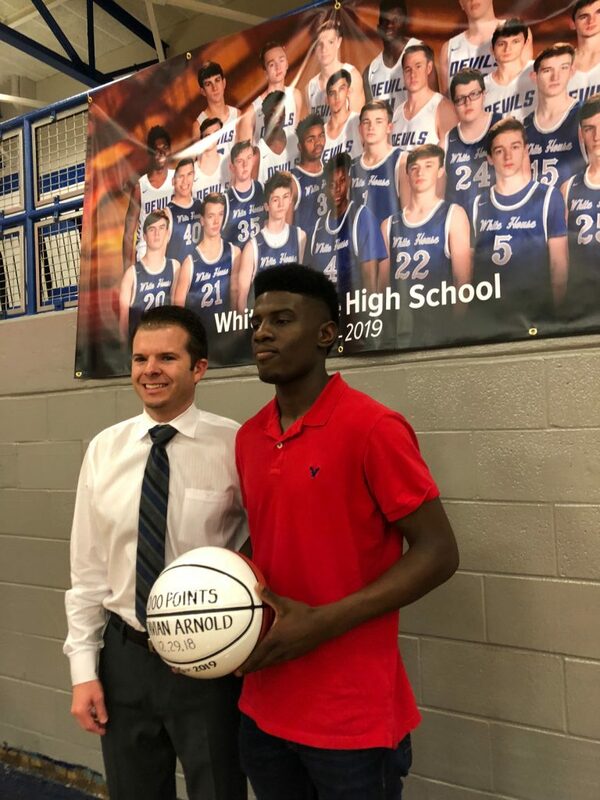 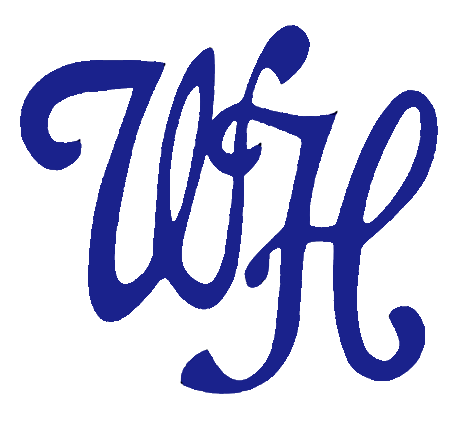 White House will be the number two seed heading into the District 9-AA Tournament with a win on Friday. 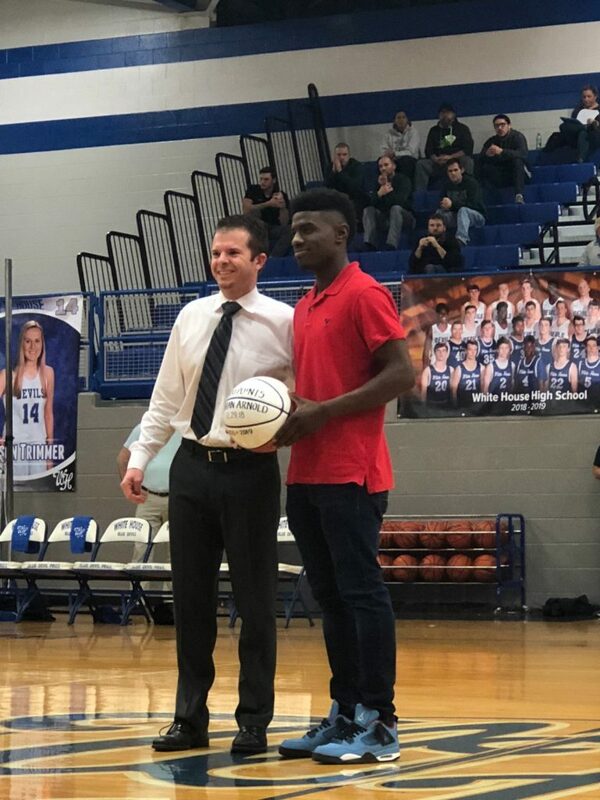 Arnold joins fellow senior Jared Ward in the 1,000-point club as Ward eclipsed the mark as a junior.